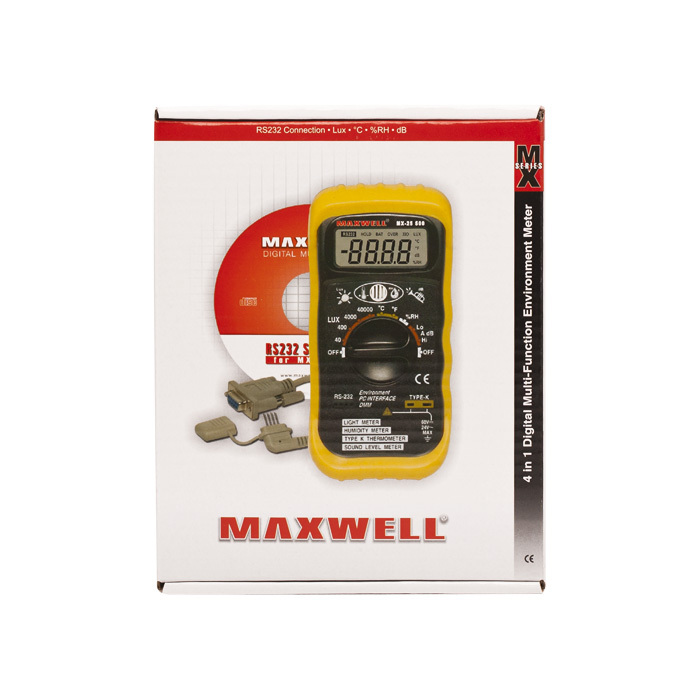 The 4 in 1 digital multi- Multi-Function Environment Meter has been designed to combine the functions of Sound Level Meter, Light Meter, Humidity Meter, Temperature Meter. 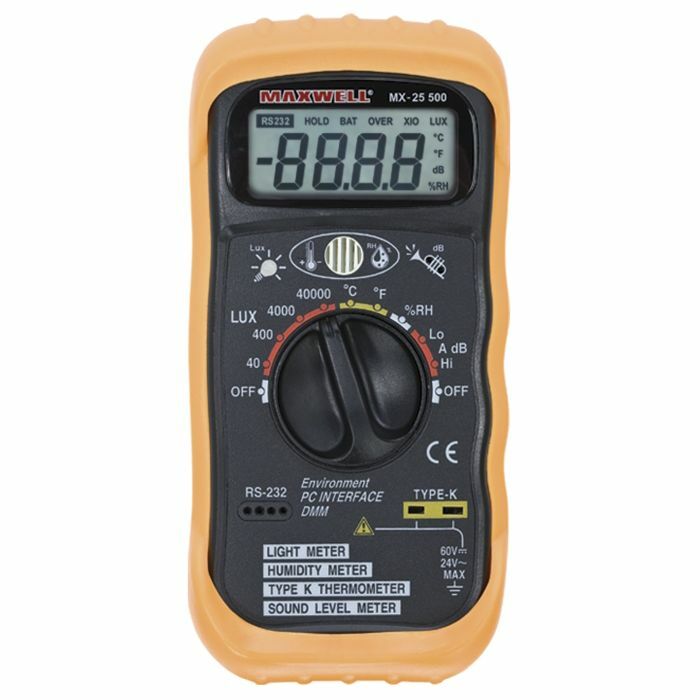 It is an ideal Multi-Function Environment Meter Instrument with scores of practical applications for professional and home use. The Sound Level function can be used to measure noise in factories, schools, offices, airports, home, etc., checking acoustics of studios, auditoriums and hi-fi installations. The Light function is used to measure illuminance in the field. It is fully cosine corrected for the angular incidence of light. The light sensitive component used in the meter is a very Stable, long life silicon diode. The Humidity/Temperature is for use a humidity/semiconductor sensor and K type thermocouple.